We build websites, web based software and mobile apps for your business. Are you looking for a website, a custom software to optimise your business processes, launching a new startup or need a mobile app? Business optimisation solutions and websites that work for your business saving your business time and money. We add value to your business today. Every business is different and so are its needs. Online presence is essential but also having the right functionality and technology are equally critical for online success. Our approach is to use technology that is transferable, maintainable and scalable. At Skylight we specialise in building software products that transfers your business logic and puts that in to a website or mobile app. Our web development services puts your business idea into reality. We bring product development that can span from simple content management systems for a website or a mobile app. Working with open source technologies and cloud based systems, we transform and optimise your business life. With existing complex projects likes Skylightit.com or internal company intranets, Skylight team is well positioned to take your project from design to delivery in most cost effective way possibly. Few selected samples of our work. Call us on 0844 4822346, email us on sales@skylight-interactive.com or use the form below to send us a message. Please give us your number and so that we can call you back. Skylight Interactive Ltd provides web design and development services and consultancy. It was launched in 2009 to start a new web project management and collaboration platform, widely known as ‘Skylight’. It currently serves 10,000 businesses globally and is available in 8 different languages. During the start-up phase of the project, we were approached by clients to provide web design and development services. With the expertise of the team, ranging from web designers to developers involved in the initial project, we came together to provide our services to cater for this growing demand. We have struck a chord with our customers due to our expertise and design skills. Since 2009, our client list has increased with an average client retention of 99% and most of our business coming from client recommendations. Our team comprises of web designers, web developers and business operations experts who can help you achieve your online business objectives. It can be a small website you need or a fully-fledged custom backend intranet to manage day to day operations. We are able to take on these projects from initial inception to final delivery. Our main focus of development is using CakePHP an open source PHP framework but we are equally at home with Node.js and Angular.js based projects. Please have a look at our services, call 08701879898 or email us at sales@skylight-interactive.com. 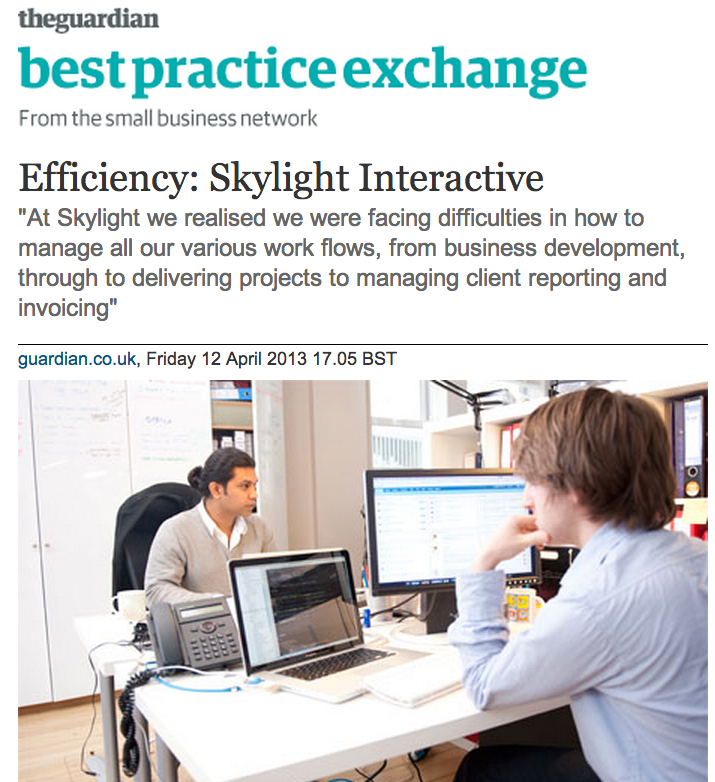 Skylight Interactive - Building Websites, Apps and DB solutions for your business.